Reminder plays an important role in most systems especially for a leave management system such as TimeTec Leave as it helps ensures that companies’ operations are running accordingly. Therefore, we’ve prepared a quick guide on how to send out an email reminder for Holiday and Approved Leave prior to the upcoming dates throughout the entire organization. 1) Login to TimeTec Leave > go to Reminder. i. Select the Reminder either for Leave or Holiday. 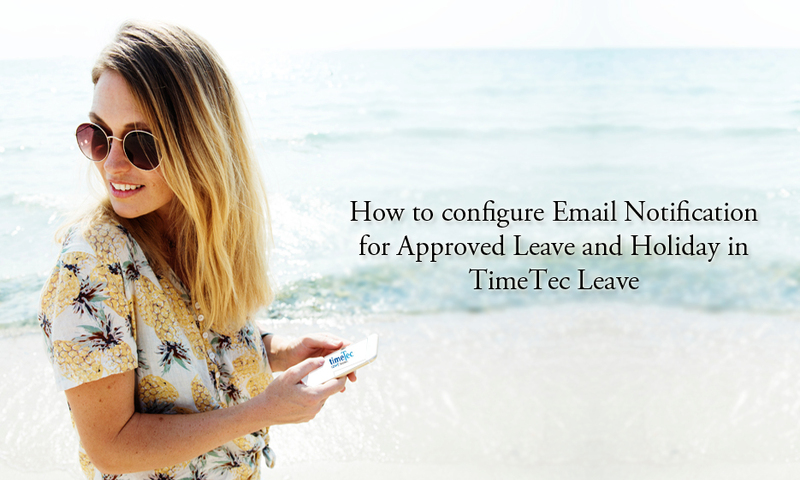 Leave - You may configure a reminder on the Approved Leaves prior to the leave dates. Holiday – You may configure a reminder for Holiday prior to the holiday dates. ii. Select the organization or department that you wish to assign for the Leave or Holiday under Organization Structure > click the Drop-down Option > Filter. i. Leave Type – You need to choose the leave type from the dropdown option. ii. Recipient – You may select the recipient for the reminder, i.e. system administrator, admin or user. Note that you may also include other recipient emails into this option. iii. Occurrence – Frequency of the event to be sent out before the upcoming leave. iv. Enable – Enable this option for the email notification. Remark: Please ensure that you have already configured all the holiday setting at the Holiday tab. i. Recipient – You may select the recipient for the reminder, i.e. system administrator, admin or user. Note that you may also include other recipient emails into this option. ii. Occurrence – Frequency of the event to be sent out before the upcoming holiday. iii. Enable – Enable this option for the email notification.